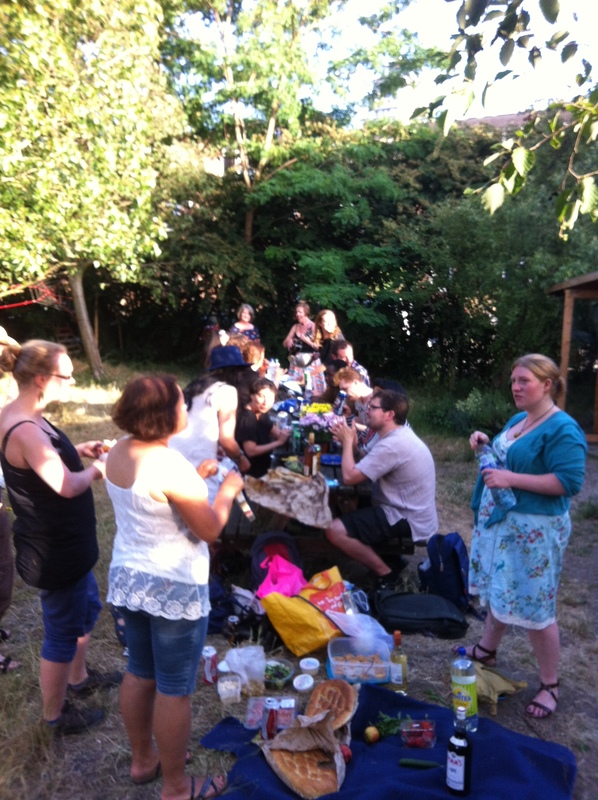 The Commons is both an ancient and an emerging new way of managing resources in a self-organising and collaborative fashion. It’s a concept that is become increasingly known as a sustainable and life-affirming alternative to the forces of predatory markets, consumerism and dehumanising centralised institutions. A whole day of discussions, exercises, networking and socialising kicked off with mingling and get to know you games facilitated by Anna Betz which was then followed by a session of Who Is Commoning in the UK and London? 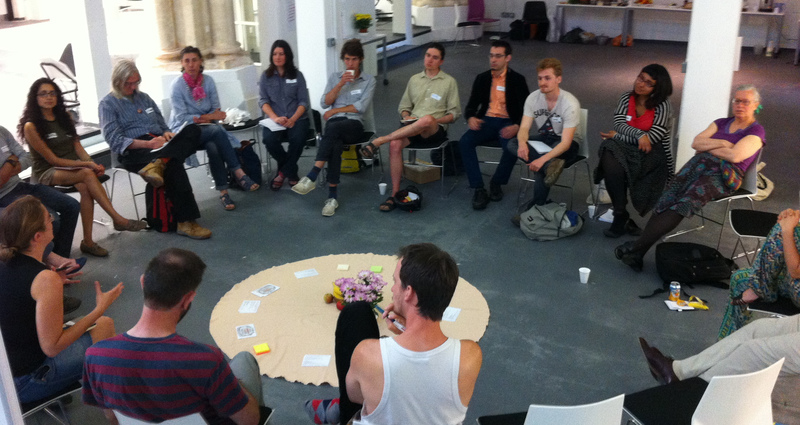 This was an opportunity for a number of groups to talk about their projects and to ask questions. We had representatives from Be Welcome a user managed hospitality community, the local AssemblySE8 who have created a community garden in the grounds of a disused school, the Health Commons initiative that reframes health and wellbeing in terms of our social and environmental relationships, Gift Circles helping people meet their needs in community building, non-monetised ways, Debt Resistance UK that is kickstarting citizen-led debt audits for local authorities throughout the country, Permablitz a reciprocity based project that creates wildlife-friendly gardens according to a permaculture design, Change The Future which helps build communities in fun and effective ways through self-organisation, Move Your Money a campaign to move money into more sustainable and equitable banking solutions, South Downs Eco Housing Cooperative and Keep The Green safeguarding Greenwich Green. Vica Rogers then facilitated a very engaging discussion looking into the theoretical side of the Commons and the meaning of Elinor Ostrom’s 7 principles of Commoning. 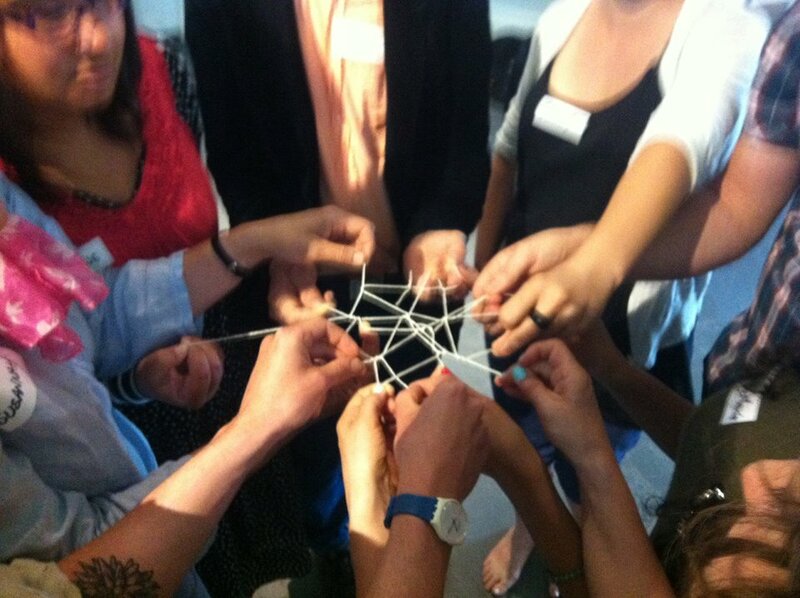 Next Andy Paice led a session on the Spirit of The Commons in which participants teamed up into 3 groups and did an exercise making webs out of string that would be robust enough to catch an object. The groups followed 2 consecutive sets of instructions – one with a micro-managing leader, the other by working in a self- organised collaborative way. Perhaps needless to say the webs created collaboratively proved much stronger in catching the apple! 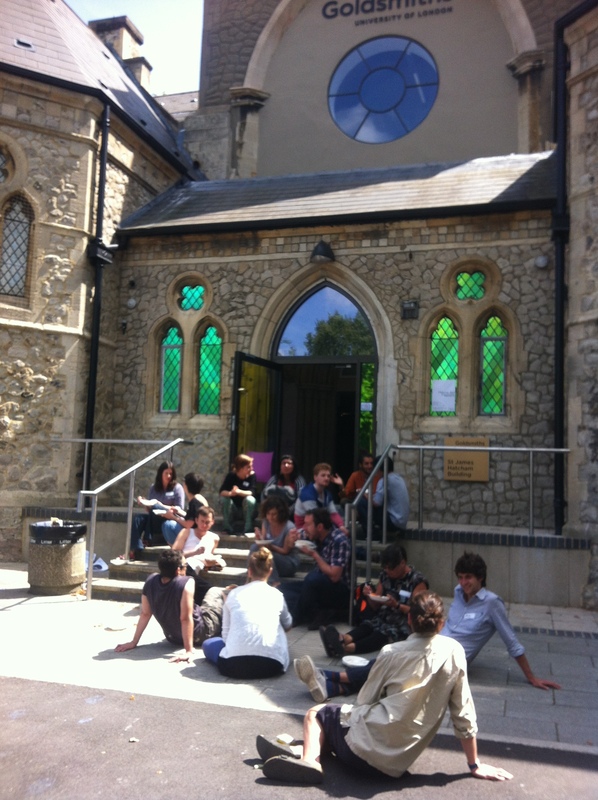 After a veggie lunch in the sun we went into a World Cafe style exploration of some of the burning questions people were holding regarding Commoning. 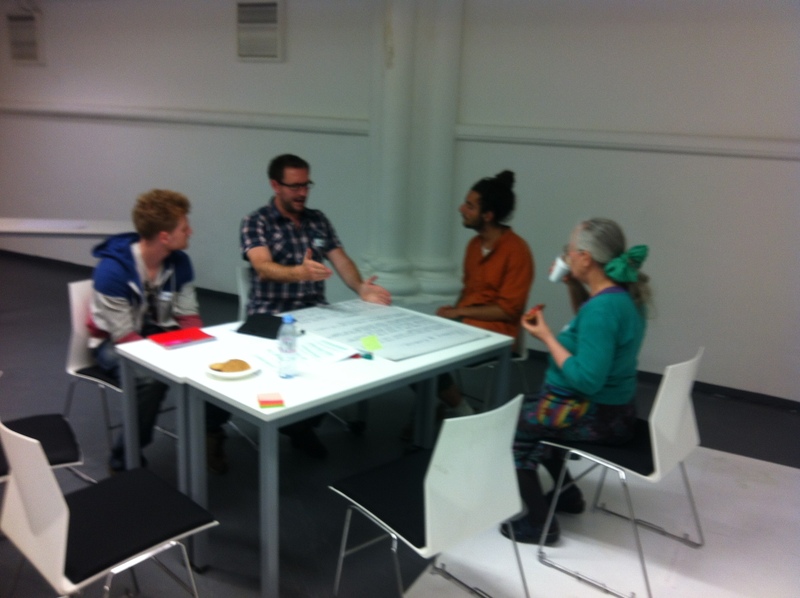 Questions reflecting on how the Commons can become a radical transformative force, the challenges facing self organising groups and the inner obstacles to successful commoning were discussed whilst seated around tables. We also delved into various domains of the commons and in break out groups discussed Democracy and the Internet, Education, Health, Land issues and Money and Finance . There was a sense of committed and enthusiastic deliberation and the groups came up with some insightful reflections which will soon be harvested and posted on this website. I n the final Plenary participants gave their impressions of the day and feedback for future improvements and next steps. People seemed to have enjoyed the opportunity to meet like minds from different fields. There were some great suggestions too such as making regular visits to Commoning projects so that people get first hand and real experience of what is going on around London and the UK. 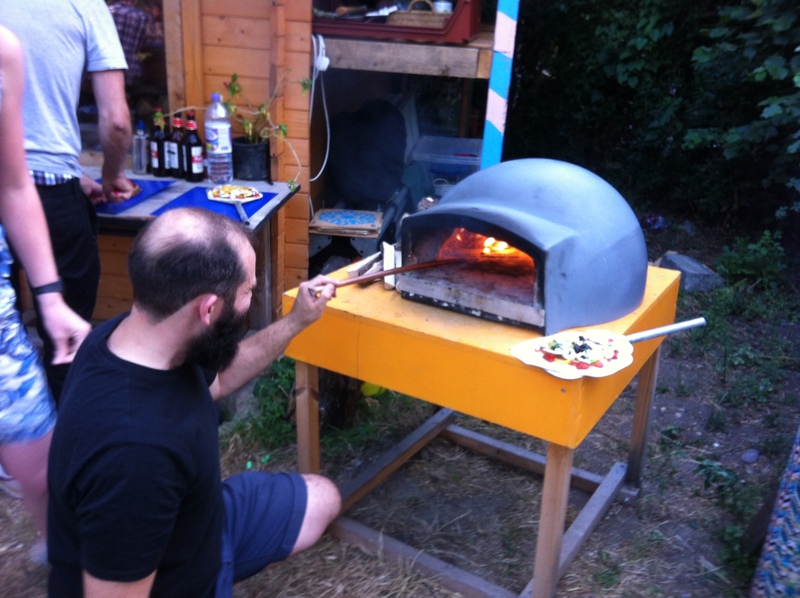 A fun and inspiring day was capped off by visiting our AssemblySE8 friends in Deptford who hosted a social evening of wood fire oven baked pizzas and music in their beautiful Old Tidemill Community Garden. It was a great day for Commons Rising and one which holds promise for the Commons in general.